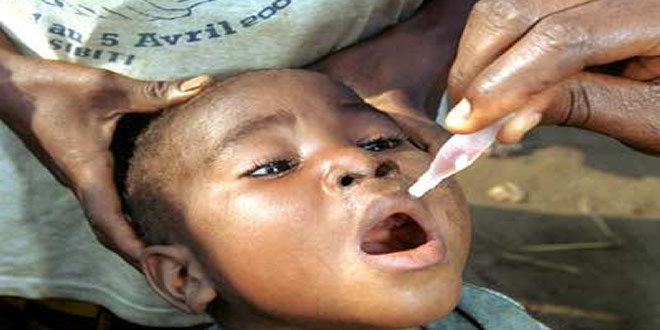 The Nigerian media has been urged to rise up to their responsibility of pressuring the government to make adequate health budgetary allocations, especially in the area of child, women, otherwise family health. This call was made by Mrs. Chioma Kanu, an official of the Partnership for Advocacy in Child and Family Health (PACFaH) during a courtesy visit of the team to Newswatch Times, recently, who insisted that it is very important for the media to support civil society groups in ensuring that government fulfill it promises of adequate health care to the people particularly, for mothers and children. Kanu explained that the essence of the team’s courtesy visit is to mobilize the media in the country to support the group and represent the society well. According to her, there are a lot of malnourished children across the country and there is a need for civil society groups to mobilize resources for nutrition with the support of the media. She observed that timely reports of event as it relate to nutrition and giving priority to nutrition by the media is very important. “Editorial dedicated to children and family and capacity building of Civil Society of Nigeria are the key areas that the media can help,”Kanu said. Dr. Ejike Orji, Chairman of Advocacy for Family Planning in Nigeria who is also a member of PACFaH lamented that the rate of family planning support is 10 per cent for over 20 to 30 years and there is a need for the media to convince the government to make adequate budget for it. Orji noted further that meager money released by government does not even get to the right source. His words: “Money released doesn’t get to right recipient, 1.6 per cent goes to federal ministry of health in the budget,” he said. An analysis of the 2016 budget shows loop holes which if not addressed before appropriation will impact negatively on the sector and the health of Nigerians, Orji noted. Expressing PACFaH’s concern over the inadequacy of the 2016 budgetary proposal for the country’s health sector, the physician said, that the N257.3 billion being proposed for the Ministry of Health is inadequate to achieve the desired goal of ensuring the wellbeing of the citizenry. “By this allocation and with an estimated population of 173.6 million, according to the World Bank, allocation to the healthcare sector by the federal government, on a per capita basis, amounts to N1,488.00 ($7.55, $1=N197). In 2015, with a total allocation of N259.75 billion and an estimated population of 168 million, allocation on per capita basis was N1,546.00. In 2014, allocation was N264.46 billion, an estimated of 160million, allocation on per capita basis was N1, 653.00.00,” Orji said. Eight days to the New Year, President Muhammadu Buhari , presented this year’s proposed budget estimate of N6.08 trillion to a joint session of the National Assembly. Out of the estimate, N257.3 billion was proposed for the Ministry of Health. This represents 4.23 per cent of the budget, lower than that of 2015 (5.78 per cent). Although the capital expenditure budget is 13.86 per cent which is more than 8.73 per cent of the 2015 budget, the health budget’s value for this year also ranks the fifth largest allocation. In April 2001, heads of state of African Union (AU) countries met in Abuja and pledged to prioritize the development of the health sector by allocating at least 15 per cent of their annual budgets to improve the sector. In spite of this commitment, a preview of the trends of budgetary allocations over the years shows that the federal government has been allocating between five per cent and six per cent of the budget to health, and it has never exceeded that at any point in time while Rwanda, Swaziland, Ethiopia, Malawi, the Central African Republic and Togo have since kept to the promise of the Abuja declaration. Keeping the “Abuja Declaration” promise will increase the amount of resources spent on health and if spent efficiently, could improve access to quality health services and save lives. The team urged the media to engage the government to generate fund to sponsor immunization vaccine for children and encourage family planning in other to help reduce child and maternal mortality rate in the country. PACFaH is a social accountability project implemented through the strategy of partnership building of indigenous NGOs champions and activities to catalyze government at national and state levels in Nigeria to fulfill their commitment to child and family health. This story was published in Newswatch Times on February 6, 2016. Cauliflower has versatile nutrient profile as a vegetable with an easy-to-cook nature which makes it a staple of diet for many. You can make cauliflower into a dozen different dishes, from cauliflower steaks to cauliflower rice to creamy cauliflower bacon. You need vitamin C for collagen and connective tissue formation. Your body also uses it to manufacture glutathione, enhance immune function, and prevent free radical damage. Vitamin C is sensitive to heat, so you will lose a lot of cauliflower’s vitamin C if you cook it. You can help preserve vitamin C by cooking cauliflower at lower temperatures, or by eating it raw. 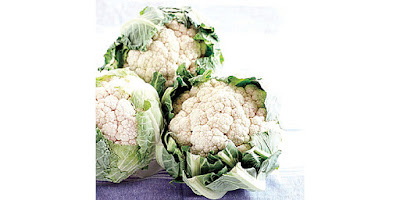 If you insist on cooking your cauliflower, you may want to consider supplementing with vitamin C.
Sulforaphane is what gives your kitchen that funky smell when you’re cooking cruciferous vegetables like broccoli and cauliflower. This compound has powerful anti-inflammatory and anti-cancer properties. It also works with glutathione to remove toxins from human cells. Like sulforaphanes, glucosinolates are sulfur-containing compounds that give off a pungent aroma. Glucosinolates are broken down (through food prep, digestion, and chewing) to form biologically active compounds — indoles, nitriles, thiocyanates, and isothiocyanates. Studies show that these compounds, especially indole-3-carbinol, inhibit the development of cancer in rats and mice. Glucosinolates also protect cells from DNA damage and have anti-inflammatory effects. There is some concern about glucosinolates inhibiting thyroid function, particularly in iodine-deficient people with autoimmune issues. If you fit that bill, stick to cooked cauliflower, or try a small amount of raw cauliflower and see how it makes you feel. If you do not have an autoimmune issue, you are probably fine eating raw cauliflower, provided you are not eating tons of it. Cauliflower has a moderate amount of vitamin K1 (31µg/100g). Your body converts some K1 into K2, but humans don’t convert it very efficiently and we don’t absorb much dietary K1. That’s why some prefer to get K2 from grass-fed animal products like butter and organ meat. Still, K1 will give you a modest boost in K2. Cooking doesn’t damage K1, and studies show microwaving can even enhance its absorption (but that is definitely not a compelling enough reason to start using the microwave). A team of international scientists led by Northwestern University found that HIV is still replicating in lymphoid tissue, even when it is undetectable in the blood of patients on antiretroviral drugs. The findings provide a critical new perspective on how HIV persists in the body, despite potent antiretroviral therapy. The paper will be published January 27 in the journal, Nature. Combinations of potent antiretroviral drugs quickly suppress HIV to undetectable levels in the bloodstream of most patients, but HIV persists in a viral reservoir within lymphoid tissue in the body. The virus rapidly rebounds in the blood if patients stop their drugs. This suggests that long-lived latentlyinfected cells and/or ongoing low levels of HIV replication maintain these viral reservoirs. Up until now, most scientists believed the reservoir only contained long-lived infected cells in a resting state rather than newly infected cells for several reasons. 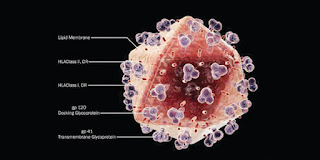 First, no one had seen viruses with the new genetic mutations that inevitably arise when HIV completes cycles of growth. Second, most patients do not develop the drug resistance mutations which might seem likely, if HIV was growing in the presence of drugs. The team examined viral sequences in serial samples of cells from lymph nodes and blood from three HIV-infected patients from the University of Minnesota (U of M) who had no detectable virus in their blood. Scientists found that the viral reservoir was, in fact, constantly replenished by low-level virus replication in lymphoid tissue with infected cells then moving from these protected sanctuaries into the blood. Because infected cells in drug-sanctuaries within lymphoid tissue can still produce new viruses, infect new target cells and replenish the viral reservoir, it has not been possible to purge the body of latently infected cells and eradicate the virus. A mathematical model tracked the amount of virus and the number of infected cells as they grew and evolved in drug sanctuaries, then moved through the body. The model explains how HIV can grow in drug sanctuaries in lymphoid tissue where antiretroviral drug concentrations are lower than in the blood, and why viruses with mutations that create high-level drug-resistance do not necessarily emerge. The findings provide a new perspective on how HIV persists in the body despite potent antiretroviral therapy. The study also explains why the development of drug resistance is not inevitable when virus growth occurs in a place where drug concentrations are very low.Most importantly, this new understanding highlights how important it is to deliver high concentrations of antiretroviral drugs to all locations in the body where HIV can grow. Drugs that penetrate the newly discovered sanctuaries will be a prerequisite to the elimination of the viral reservoir and, ultimately, a step towards a cure. This story was published in Newswatch Times on February 4, 2016. 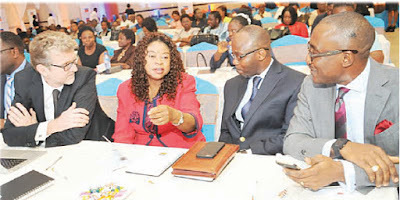 The Pharmaceutical Society of Nigeria (PSN) has been urged to work towards putting the country on the map with more innovation by taking advantage of the ongoing Constitution review process to propose amendments to laws governing the practice of the profession. Making the call weekend, was the Speaker, House of Representatives, Hon. Yakubu Dogara when the PSN National President, Pharm. 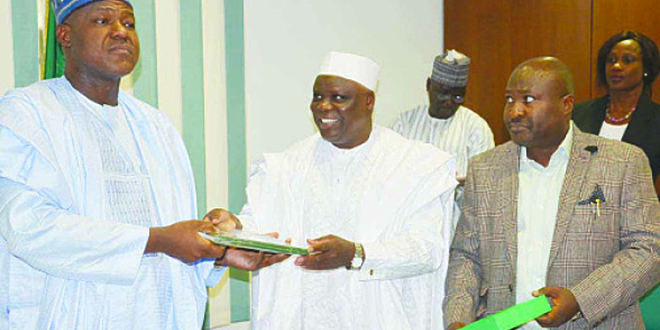 Ahmed Yakasai paid him a courtesy visit at the National Assembly, Abuja. Responding, Yakasai appealed to the Speaker, House of Representatives, Hon. Yakubu Dogara to pay special attention to the review of pharmacy laws and regulations which will soon be presented to the lower chamber for passage into law. The PSN boss stressed that the review of pharmacy laws and regulations will strengthen the regulatory agencies in the pharmaceutical sector, particularly the Pharmacists Council of Nigeria (PCN), thereby making it more effective. 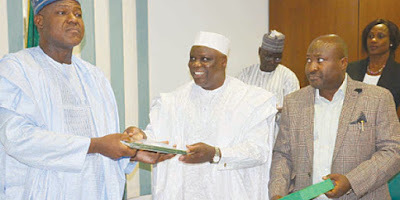 Yakasai who announced that PSN has established a forum for eminent citizens known as “Friends of Pharmacy” as a way of improving networking agenda of the society, formally informed the Speaker that he has being enlisted by the society into the prestigious forum. The PSN boss further said that the professional association gives cognisance to the enhancement of the image of the profession and practitioners and advice on labour conditions relating to members. While commending members of lower legislative chamber for the passage of the National Health Act, previous year, Yakasai pledged to continue partnering with Federal Ministry of Health (FMOH) to ensure that the Act is effectively operationalized. 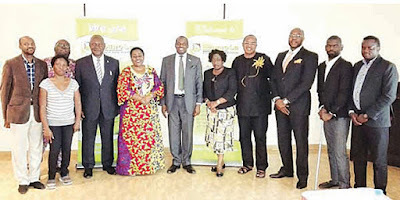 PSN as the umbrella professional association of all registered pharmacists in the country partners with the government to promote development of sound and effective health policies and promotes legislation for the enhancement of citizens’ health, he restated. “The PSN is also working very closely with the regulatory agencies, FMOH and key stakeholders in Pharmaceutical Sector to reverse the chaotic uncoordinated Drug Distribution System in Nigeria through the implementation of National Drug Distribution Guideline (NDDG) issued by the FMOH with the aim of eliminating the incidences of fake and counterfeit medicines in Nigeria. “Ultimately, the Open Drug Markets would be closed down. The current Executives of the PSN which I lead came on board at the recently concluded 89th National Conference of the Society tagged “Unity 2015” which took place in Abuja in November 2015,” he said. Discussing his vision for the society, Yakasai said he is committed to provide collaborative, participatory, responsive and transparent leadership, adding that his primary objectives is to engage in wider advocacies nationally and internationally in order to promote the ideals of PSN. Yakasai seized the platform to invite the Speaker to be the special guest of honour at the forthcoming inauguration of his office in a handover ceremony which will take place February 18, 2016 at Congress Hall, Transcorp Hilton Abuja, from 7.00pm to 9.00pm. According to him, the investiture of the new fellows of the society will also take place during this ceremony. “I want to humbly use this opportunity to solicit the Speaker to be our special guest of honour during this prestigious occasion,” he said. Congratulating the Speaker on his victory in the last election as the Speaker of the House of Representatives of the eighth National Assembly, the PSN Pesident said: “I am here today with my colleagues on behalf of the Pharmaceutical Society of Nigeria (PSN), the umbrella Professional Association of all registered Pharmacists in Nigeria to congratulate the Speaker on your election as the Speaker of the House of Representatives of the eighth National Assembly. According to Yakasai: “ The Pharmaceutical Society of Nigeria is the oldest Health Professional Association in Nigeria (founded in 1927) and was established with the aims, objectives of maintaining professional ethics and discipline among its members, thereby promoting quality pharmaceutical service delivery for the nation. Benola’s Project Planning and Implementation Team (PPIT), an arm of a non-governmental organisation, has set agenda to drum support for families with Cerebral Palsy (CP) disorder. L-r: Mr. Akinsola Owoyemi; Tobiloba Ajayi; Rotimi Gbadebo in the background; AVM Femi Gbadebo; Mrs. Alaba Gbadebo; Prof Afolabi Lesi – Chairman; Mrs. Seke Odojukan; Dr Omadeli Boyo; Sir Lorenz Mba; Dada Olawale Folabi and Anderson Obah at the Benola’s fifth PPIT meeting, penultimate Tuesday. “There is need for regular outreaches to Cerebral Palsy Families in order to be rendered assistance with soft food items, toiletries, medication, adding that specialized equipment like paediatric wheel chairs, walkers, standing/seating frames should be sourced for the families of Cerebral Palsy. It announced that the Cerebral Palsy Parents Network will hold every month and will commence with the inaugural edition scheduled for Saturday, February 13. It said the meeting also is to champion the course of the organisation’s commitment to more of their time and resources towards the actualisation of Benola’s vision to change the face of Cerebral Palsy and disability management in Africa. According to the statement, the Benola Cerebral Palsy Initiative’s third anniversary will be marked, come February 25, and it seeks to raise funds to support all the noble and life changing activities of the organisation. Snoring happens when you breathe through the mouth during sleeping, thereby producing that awfully embarrassing loud noise. Snoring has been medically researched to lead to eventual health issues. There are a lot of so called remedies and quick fix pills and medicines and contraptions that are out in the market these days. Some have attempted stop snoring through surgery. But it is often good advice to resort to natural methods first. Most of these natural methods are not only effective, but also possess several advantages like having no side effects. It is also a more permanent cure without breaking the bank. Sleep on your side. This allows you to breathe through your nose and not through your mouth. This opens up your nasal passages as opposed to sleeping on your back which pushes air to be breathed out through your mouth; thus making you snore. Exercises. Do exercises that help to stop snoring naturally. These are non-evasive choices that focus on controlling the movements of the tongue and jaw which are the parts that are involved in snoring. Regular practice and exercise will eventually result to no more snoring at all. Be careful of your food. Obesity is, after all, one of the reasons of snoring so you would need to avoid high calorie food and start eating healthier. Also try to avoid eating heavy meals and opt for easy to digest food during dinner time. Avoid alcohol. 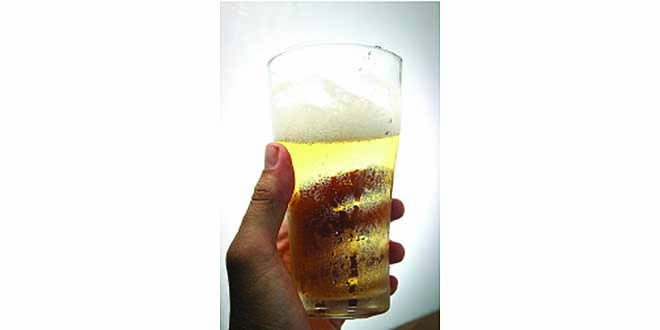 Alcohol must be avoided as well as excessive amounts of caffeine. Laying off on tobacco also helps. Develop good hygienic habits before bed time. Following a routine programs your body’s system to rest more peacefully. Lose weight. Weight helps some people but not everyone. This is because thin people also snore. If you’ve gained weight and started snoring and did not snore before you gained weight, weight loss may help. If you gain weight around your neck, it squeezes the internal diameter of the throat, making it more likely to collapse during sleep, triggering snoring, according to experts. If snoring starts in your nose, keeping nasal passages open may help. It allows air to move through slower, according to studies. A hot shower before you go to bed can help open nasal passages. Also, keep a bottle of saltwater rinse in the shower. Rinse your nose out with it while you’re showering to help open up passages. Allergens in your bedroom and in your pillow may contribute to snoring. When did you last dust the overhead ceiling fan? Replace your pillows? Dust mites accumulate in pillows and can cause allergic reactions that can lead to snoring. Allowing pets to sleep on the bed causes you to breathe in animal dander, another common irritant. Drink plenty of fluids. According to studies, secretions in your nose and soft palate become stickier when you’re dehydrated and this can create more snoring. Experts also recommends that healthy women should have about 11 cups of total water (from all drinks and food) a day, while men require about 16 cups. This story was published in Newswatch Times on January 30, 2016. As part of its Corporate Social Responsibility, (CSR) to consumers of Astymin, Fidson Healthcare Nigeria has rolled out for latest reward package for Nigerians in the current year. Speaking to journalists at a media parley to mark the 15th year anniversary of Astymin and launch of Astymin Promo, Fidson Healthcare said from January till December 31, 2016, ten consumers of Astymin will win N10,000 every day. Tagged ‘Astymin Get Alert Promo’, one lucky winner will also win N100, 000 monthly. Speaking, the General Manager, Marketing, Mr. Ola Ojimakin said: “On four occasions, Fidson’s Astymin has emerged winner of the BrandHealth ‘Most Trusted Brand’ award in the Multivitamin category. “The Astymin Get Alert Promo is to reward consumers that have stood by the brand over the last 15 years. The draws will be done daily and will coaver entries sent from anywhere in Nigeria. According to him, “Astymin is required for the following reasons: To bridge the gap of the body’s requirement for essential amino acids and the supply; For physical and mental development in children; To cope with stressful situations and address ill health and convalescence. It is available as a pleasantly flavored liquid, capsules and drops for babies, Ojimakin added. In a presentation, the Product Manager (OTC), Mr. Femi Ajala, said to win, a user should buy Fidson Healthcare’s Astymin, scratch the label on the pack to get the authentication code and text same to 1393. “The user gets message carrying information that the product is genuine as well as instructions on how to enter the promo. Within minutes after details (name and location) are sent, users would get confirmation messages on their mobile lines. “The ten daily winners will be selected by the system that receives all entries. For the star prize, the system will pick only one from all entries received within a month. To stand a good chance, we urge our consumers to keep getting Astymin and keeping texting the codes,” the Product Manager said. He gave overview of the brand activities which includes the Astymin ‘School programme;’ sponsorship of educational and recreational activities in 609 primary schools across the nation, including: quizzes, debates, sports and parties. Ajala further explained that Astymin “Genius of the Month” is one of the brand activities which features pupils writing of essays on topics chosen by teachers; essays are assessed by teachers; winner is rewarded with a school visit and gifts. the best graduating pupils in primary schools across the country. Other activities are the full sponsorship of the “Fun Nite” at the annual conference of the Pharmaceutical Association of Nigeria Students (PANS) which the star event of the night is the “Miss Astymin” Beauty Pageant. Ajala explained that the adoption of the 1393 code for ‘Astymin Get Alert Promo’ is to create awareness for the code and help in the fight against fake drugs proliferation. His words: “Fidson Healthcare is using the NAFDAC’s authentication code for Astymin Get Alert Promo, as evidence has shown that only two per cent of consumers scratch the packs to get the code to verify the drugs. Other officials in attendance at the launch were Mr. Oladimeji Oduyebo (Head, Corporate Communications); Mr. Friday Enaholo (Marketing Manager) and Mrs. Yetunde Adesola (School Programme Coordinator). This story was published in Newswatch Times on January 28, 2016. In line with World Health Organisation’s (WHO) recommendations, nutritionists in the country have reiterated their endorsement on exclusive breastfeeding of babies for the first six months of life, insisting that it is the best and could help to significantly reduce infant mortality. The theme of the event was “The Nutrition Wisdom of Infant Feeding Choices” and it was held at the Civic Centre, Victoria Island, Lagos. According to the Nutritionists, breastfeeding has an extraordinary range of benefits for the child and even for their mothers. They also stated that in circumstances when it becomes impossible for mothers to breastfeed their babies, they could use substitutes which must be readily available and affordable. The world health body recommends mothers worldwide to exclusively breastfeed infants for the child’s first six months to achieve optimal growth, development and health. Thereafter, they should be given nutritious complementary foods and continue breastfeeding up to the age of two years or beyond. Speaking on: “The Nutrition Wisdom of Infant Feeding Choices”, Professor Nnam said Breastfeeding alone (exclusive breastfeeding) is a complete nutritional source for infants for the first six months of life because breast milk contains all the essential nutrients, bio-active compounds and anti-infective factors needed by the infant for the first six months of life. In his welcome address, Mr. Olivier Thiry, Managing Director, Promasidor said the company produces premium nutritional products that are good for all categories of people. According to him, the products produced by Promasidor contain Vitamins A, Iron and other vital nutrients human bodies need for healthy living. Professor Nnam therefore said Nutrition wisdom is important to ensure adequate supply of nutrients to support rapid growth and development of the infant; prevent malnutrition that could lead to stunting, wasting, underweight and micronutrient deficiency diseases; as well as to protect the infant from developing chronic diseases in adulthood like diabetes, cardiovascular disease and obesity. According to her, the nutrients contained in breast milk are adequate in quantity and quality to promote optimal growth and development of infants. She explained that composition of breast milk has been designed by nature to provide all the nutrient needs of the infant, make for easy digestion and assimilation by infants. She stated that breast milk is uniquely suited for infants both in nutritional composition and in the non-nutritive bioactive factors that promote survival and health. “Human milk contains water, fat, proteins, carbohydrates, minerals, vitamins, some hormones, enzymes, growth factors, essential fatty acids and immunological factors that play vital roles for adequate development and growth of the infant”; she said. Dr. Abieyuwa Emokpae, a Consultant paediatrician and medical doctor at Massey Street Children’s Hospital, corroborated Professor Nnam as he said human milk contains hundreds to thousands of distinct bioactive molecules that protect against infection and inflammation and contribute to immune maturation, organ development and healthy microbial colonization. Similarly, Dr, Ola-Aroyewun Bisoye, a Matron said studies have shown that breasted infants do better on intelligence and behaviour tests into adulthood than formula-fed babies. She advised that continued breastfeeding until the age of two years or more brings the reproductive cycle full cycle because breastfeeding is the primary means of delaying pregnancy and spacing births. Meanwhile, Professor Nnam said apart from breastfeeding, mothers could also employ complementary feeding. This, she said, is giving other foods to the infant to complement breast milk. She said: “The child continues to receive breast milk as well as complementary foods, before eventually changing to the family food alone”. According to her, if there are circumstances when complete breastfeeding is difficult, nursing mothers could deploy infant formula like Tina 1, produced by Promasidor when a baby is still between zero and six months and Tina 2 when a child is between the first six months and two years. The Lagos State Government Tuesday, said it is targeting over four million children for measles vaccination which begins today in the state, even as parents and caregivers have been urged to ensure that all their wards between the age of nine months up to five years are taken to the health posts or designated posts for the measles vaccination. 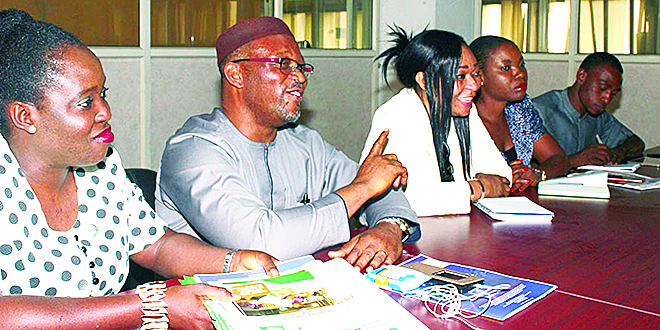 Briefing journalists in Lagos, the state Commissioner for Health, Dr. Jide Idris said the vaccination exercise which is the second phase of the nationwide measles Follow-Up campaign was aimed at reducing any build –up of susceptibles born since the previous supplemental immunisation activities. Idris also noted that the exercise which will hold from January today to February 1, 2016 in 20 Local Government Areas ( LGAs) and 37 Local Council Development Areas (LCDAs) was also to reduce childhood mortality and morbidity from measles infection among children aged nine months to 59 months. “The main objective of the campaign is to immunise at least 95 per cent of eligible children with measles antigens irrespective of their previous immunisations status. Though the duration of immunity conferred by measles antigen is lifelong, its efficacy is about 86 per cent. He urged parents and caregivers to ensure that all their children between the ages nine months up to five years are taken to the health posts or designated posts for the measles vaccination. As efforts to contain Lassa fever takes centre stage across the federation, Lagos State Government has handed codes of hygiene and sanitation to over 500 teachers for further dissemination to school pupils. The Commissioner for Health, Dr. Jide Idris, said that the essence of the exercise is to check the spread of Lassa fever in the state, adding that the seminar became necessary to educate teachers on strategies to contain the disease. Speaking at the sensitisation seminar in Lagos on Monday, Idris said that educating the teachers on strategies to contain Lassa fever is critical to controlling the spread of the disease not both in schools, at homes and in the communities. While assuring that Lagos State under the leadership of Mr. Akinwunmi Ambode would continue to provide quality, affordable and accessible healthcare to the people towards achieving universal healthcare to all, the Idris assured that the government would overcome Lassa fever just as it defeated Ebola virus disease. 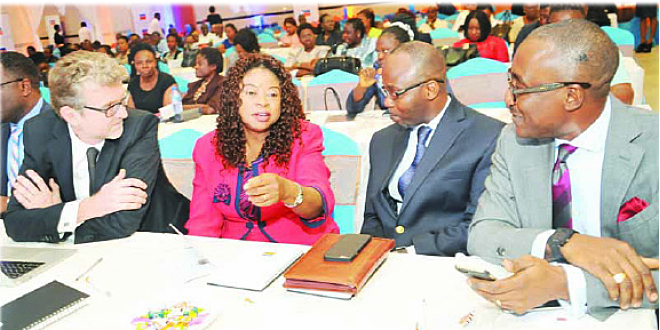 A cross-section of participants at the sensitisation seminar in Lagos on Monday(Inset)Lagos State Commissioner for Health, Dr. Jide Idris (middle), flanked by Special Adviser to the Governor on Primary Healthcare, Dr. Olufemi Onanuga (right) and Dr. Omodele Joyce Osunkiyesi, Permanent Secretary, Lagos State Ministry of Health during the occasion. Besides, the Commissioner called for maintenance of basic environmental sanitation, including proper disposal of refuse and avoiding open defecation; regular hand washing with soap and water, and maintenance of high level of personal hygiene as well as adequate nutrition. While advocating early report of suspected cases, the Commissioner also urged health workers adhere strictly to infection control measures, while mortuary personnel must wear elbow-length gloves, face mask, gowns and other personal protective equipment while attending to remains of dead patients. 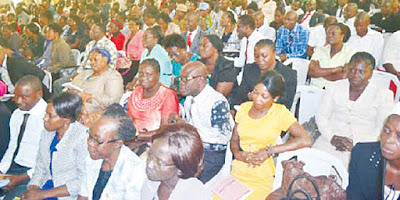 Also speaking at the sensitisation seminar in Lagos, Deputy Director at the Lagos State Ministry of Health, Mrs. George Omowunmi said the exercise is geared to check the spread of Lassa fever in the state, insisting that it has become necessary to educate teachers on strategies to contain the disease among school children. Lassa haemorrhargic fever outbreaks have spread to 17 states of the federation, killing over 60 patients. Corroborating earlier views, Omowunmi said that teachers are expected to educate school children on dangers of having contacts with rats which is known to be the natural reservoirs of Lassa virus. Teachers must advocate that children must end all forms of contacts with rats including playing with handling both living and dead rats. She said: “We have many children in school, so there is need to sensitise the teachers. In school, a typical class would have about 23 to 50 children. If we don’t let the teachers know what to do, particularly, if any child is coming to school with Lassa disease (fever), the likelihood of passing it to all the children in a given class exists. “Imagine a situation where 150 children will be infected, one wonders if we have the capacity to handle such problem when it comes up. So it is important for us to tell all teachers, firstly, to inform the children to avoid eating rat infested foods. Once the children are well informed, they take the information home to their parents, this is important because children can eat almost anything,” the Deputy Director said. All these will help us in getting as many people as possible to have information about Lassa fever disease and it will help in containing the disease,” she added. 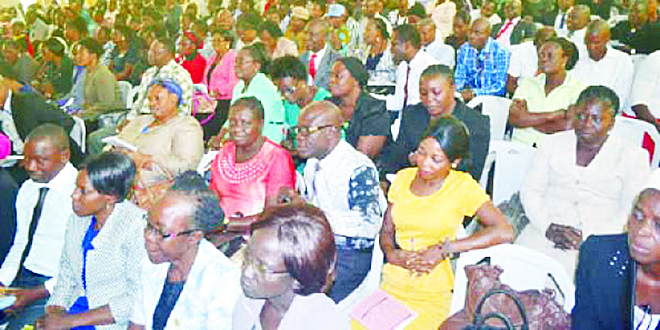 Omowunmi further observed that the teachers will equally take the information back to their family members. With this a large proportion of the society would be better informed and less ignorant about the causes and spread of the disease. It is for this reason that we brought the teachers together to train them. She explained: “We about 500 teachers from the three senatorial zones (mostly head teachers) today, being the first session. This is because we devised two sessions to manage the teacher’s population, however, the second session will be held on Thursday. According to her, the general assembly in the schools should always be an opportunity for teachers to give the children information on prevention of infection at the early stage, at least there will help to prevent infection. She also said that the Ministry of Health distributes pamphlets to teachers which they can use to pass information to the children, apart from organizing sensitization programmes. Lagos State Governor Akinwumi Ambode, on Tuesday, commissioned a state-of-the-art warehouse for finished goods, worth over two billion naira, an equivalent of 8.3 million Euros in Ogba, Ikeja Industrial area, for FrieslandCampina WAMCO Nigeria Plc. While commissioning the new facility, His Excellency, Governor Akinwumi Ambode lauded FrieslandCampina WAMCO for increasing its investment in Lagos State despite the challenging economy and for contributing to the growth of commerce in the state. The Governor who was represented by the Attorney General of the State, Justice Adeniji Kazeem, further commended the diary company for accomplishing the feat and ensuring commitment to integrity, professionalism in compliance with internationally acclaimed best practices, saying that the company has made the state proud. He enjoined the company to continue with its best practices in the discharge and management of industrial waste and effluents noting that the new finished goods warehouse is in alignment with environmental Green Goals. According to him, the completed warehouse will boost the company’s distribution capability, number of employees, wholesalers, retailers and consequently enable Nigerians to enjoy more access to quality nutrition. 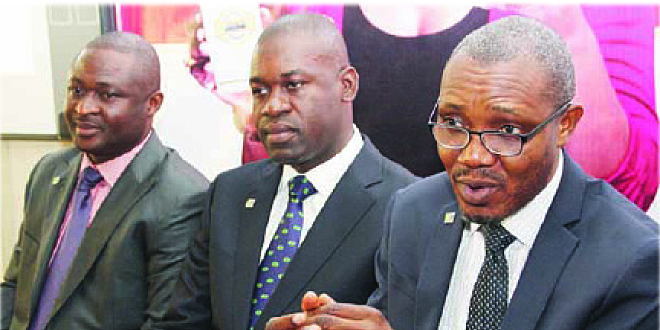 L-R: Doyin Ashiru, Operations Director, FrieslandCampina WAMCO; Rahul Colaco, Managing Director, FrieslandCampina WAMCO; Adeniji Kazeem, Attorney General and Commissioner for Justice, Lagos State; David Chatard, Business Group Supply Chain Director, Royal FrieslandCampina; and Ore Famurewa, Corporate Affairs Director, FrieslandCampina WAMCO during the commissioning of the company’s multi-billion naira finished goods warehouse in Ikeja, Lagos on Tuesday. The Governor said: “I celebrate this historic moment in the life of FrieslandCampina WAMCO Nigeria Plc, makers of Peak, Three Crowns and Frisobrands of milk in Nigeria. Today is also the remarkable day for Lagos State, because this event is another endorsement to our continuous efforts, to tell the world that Lagos is the place to invest. “Over the years, WAMCO has proven itself to be a proactive company of integrity, professionalism with internationally acclaimed best practices. This I believe is the reason why the Peak brand has endured for so long and is still the leading and preferred milk brand today. “Importantly, the construction of this facility was guided by compliance to global best practice in food safety and quality regulations, featuring a capacity of over 14,000 pallet positions and executed with LED lights which avail brighter surroundings in alignment with environmental Green Goals. A statement Tuesday, signed by Ore Famurewa, Corporate Affairs Director, stressed that the company is committed to ensuring compliance to global, best practice in food safety and quality regulations. Famurewa stated: “The ultra-modern facility sits on a 3.5 acre property and contains in-built offices for warehouse managers and storekeepers, which allows for closer contact, ensure easier control and enable effortless access among staff. The system cuts down logistics and avails a structured first-in-first-out process, which will significantly reduce storage-related errors. The construction of this state-of-the-art facility means that FrieslandCampina WAMCO has further improved the demands of its distribution process and is better prepared to ensure the accessibility of its products and commitment of nourishing Nigerians with quality dairy nutrition, she added. “We are really pleased with this new warehouse, which allows us to continue to meet the growing demand of our operations. 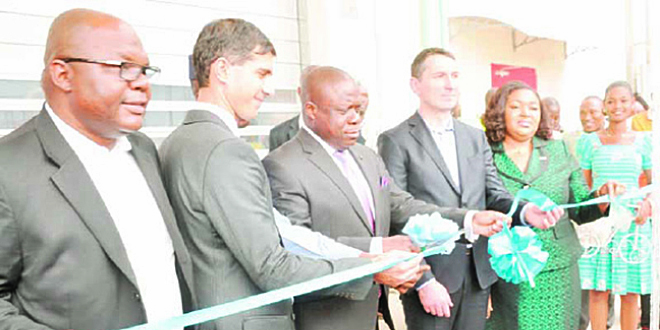 This means we can offer our customers better stock guarantees, accruing from the state-of-the-art facilities of this investment,” explained Rahul Colaco, Managing Director of FrieslandCampina WAMCO. “The new Finished Goods Warehouse underlines FrieslandCampina WAMCO’s strategy in reinforcing world class operations. The working environment in the new facility is significantly conducive for workers; this is due to the mechanical ventilation apparatus that include air expellers and vents,” Rahul noted. FrieslandCampina WAMCO Nigeria PLC has been a necessary part of most Nigerian homes since 1954 through its brand, Peak Milk. They are the makers of Peak, Three Crowns and Friso brands of milk in Nigeria.